South Ayrshire Council’s Learning Shop – an adult learning resource centre at New Bridge Street in Ayr – has been officially re-opened by Councillor Margaret Toner, Portfolio Holder for Lifelong Learning, after a comprehensive refurbishment. 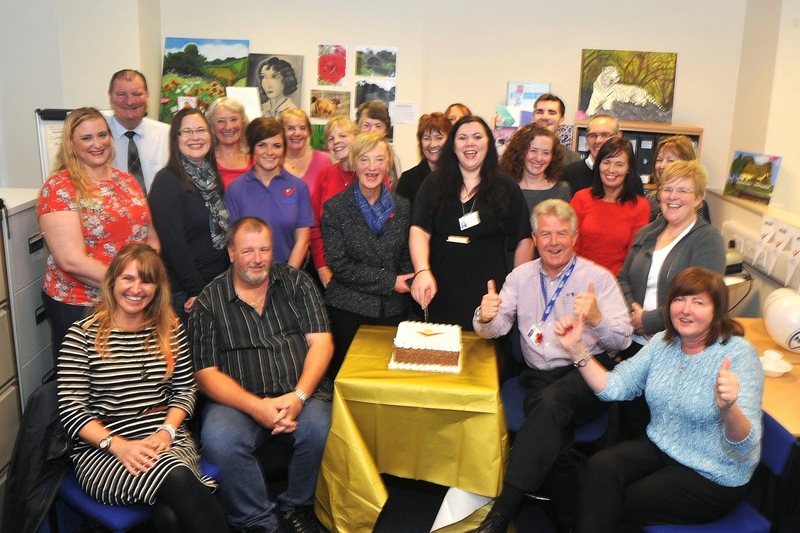 The Learning Shop opened in 2003, creating a dedicated centre to co-ordinate literacy provision throughout South Ayrshire and basing it in a town centre shop helped make it more convenient and visible to learners. Cutting the ribbon to officially re-open the Shop, Councillor Toner said: “I’m absolutely delighted to re-open this excellent service and it’s a perfect opportunity to raise awareness of the Adult Literacy team and the superb work they do. “In the eleven years since the Learning Shop first opened, our team has helped thousands of people with reading, writing, spelling and number skills, all delivered at a time and pace to suit their needs. This year looks set to be one of the busiest ever for the Learning Shop, with more than 150 students receiving literacy support and over 100 foreign students getting help to improve their English language skills. Nearly two hundred people will learn how to use a computer and more than fifty new volunteers will complete the tutor training course. The team also works with partner organisations to support literacy projects in the community, with outreach work in Troon, Prestwick, Maybole and Girvan and still maintains strong links with the local college and other learning providers. The Learning Shop is on the corner of New Bridge Street, Ayr and can be contacted on 01292 263304 – or why not drop in for a friendly chat?